Official TrekFest merchandise will be available for you to purchase online when you register – so you can take on TrekFest in style or just grab the perfect souvenir of your achievement. Order a TrekFest technical t-shirt or snap up a TrekFest neck gaiter and protect yourself against whatever weather the day brings! The TrekFest t-shirt has been designed to help improve your performance whilst on the trek and ensure you look and feel great while you’re wearing it – wear it on the day or keep it as a souvenir of your achievement! The technical stuff: Athlete Pro fit crafted in 140gsm Aerolite wicking fabric. Fully sublimated print which allows the garment to breathe, making it perfect for any exercise. Performance enhancing fit ensures comfort and unhindered performance during activity. Available in sizes XS to 3XL. Made with 100% Coolmax Microfiber with Rain Repel technology and a seamless tube for maximum comfort, our TrekFest neck gaiters are perfect for whatever weather the day brings. 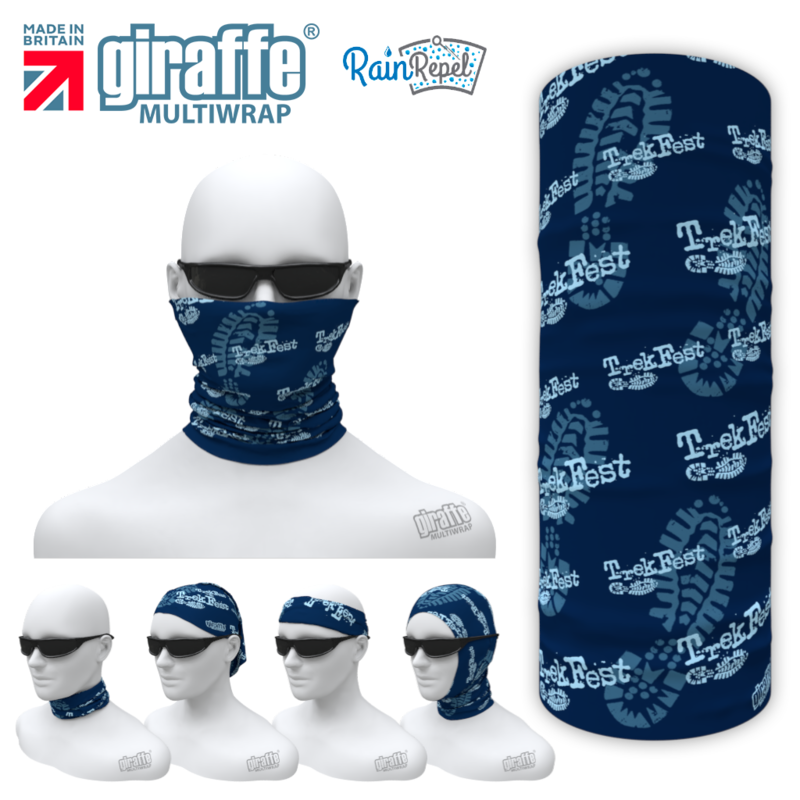 Wear it in more than 12 different ways – as a scarf or balaclava to protect you from the wind, as a hair tie or headband if the sun is out, or even just keep it as a wristband or souvenir! 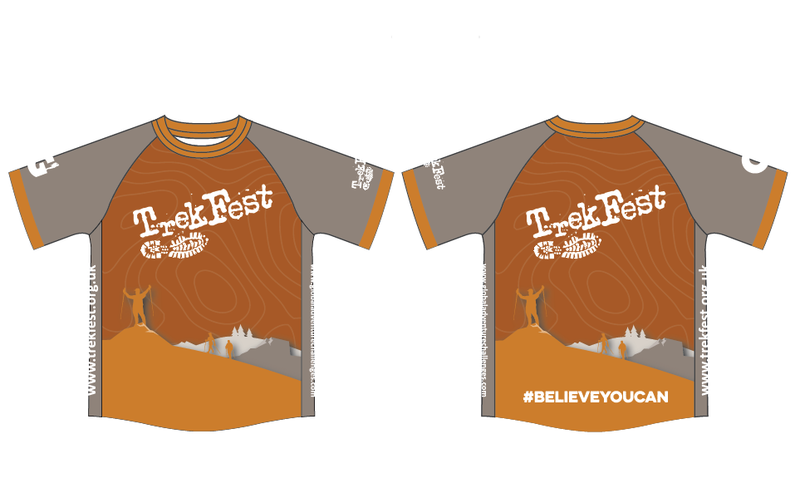 Already registered for TrekFest but forgot to order your technical t-shirt or neck gaiter? Don’t panic! You can order TrekFest merchandise through your My Events account by following the link in your registration confirmation email, or alternatively you can download an order form below and either post or email it back to us.